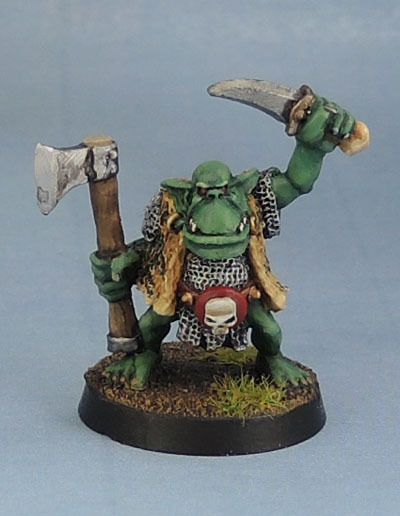 Orcs and Goblins | Azazel's Bitz Box. 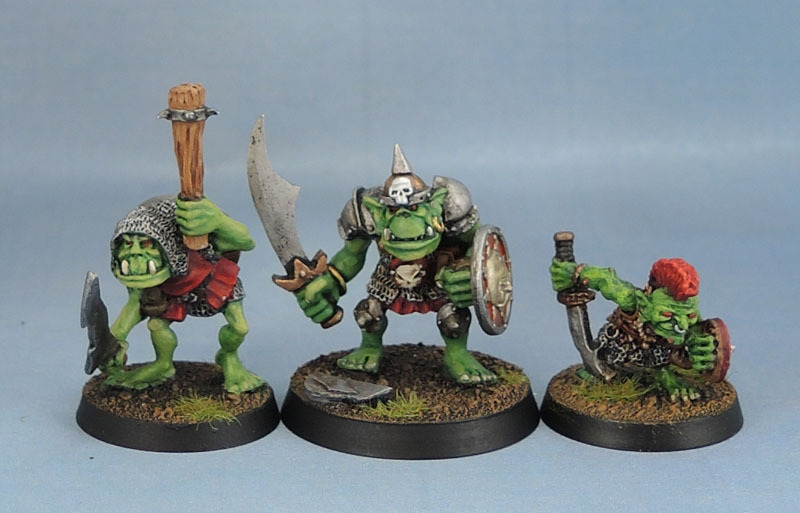 Keeping up the tradition of Orcs vs Dwarves, today we have some more of the mean, green boyz. 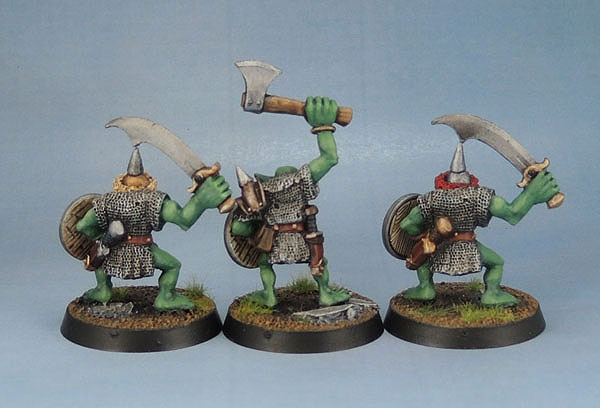 Specifically a trio of Big’Uns from the early 90’s – 1992-93 to be more exact, or the early days of WHFB 4th edition. 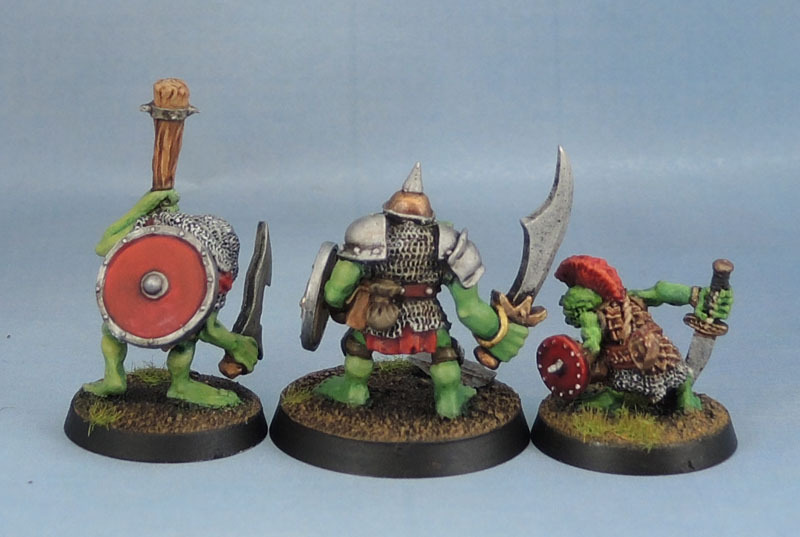 As befits orcs of this size, I’ve rebased them both on 32mm bases. 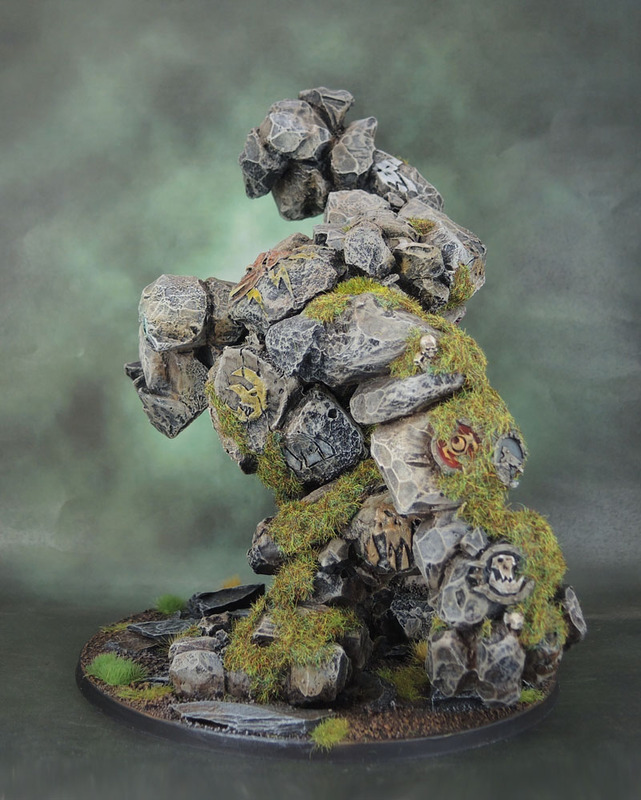 They’re both just too big for 25mm bases – round or square. With a pair of duplicate sculpts here, I had the options of painting them the same, mass-assembly style, converting one for proper uniqueness, or giving them different shields and simply painting them a bit differently. I went with the third option, both because it’s an acceptable compromise and because these days I’m really loath to chop up old figures that aren’t already broken for conversion purposes. 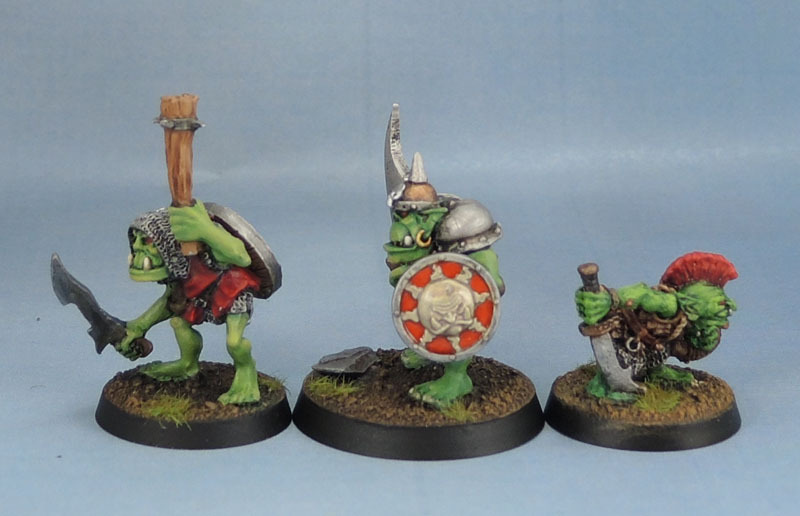 I mean, I cut a slotta out of all of these flat-topped 32mm bases rather than snip the slotta off the model! 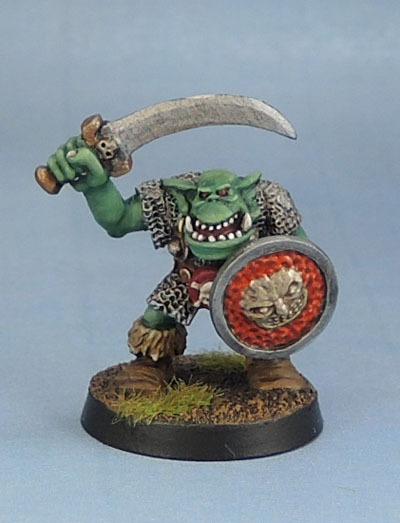 The ogre-sun-face shield is (I think) from the goblins in the 4th Edition WHFB starter box, while the grinning goblin-faced shields are positively ancient – from the PBS3 Warhammer Fantasy Regiments plastic boxed set circa the late 1980’s. Damn, I wish I could buy a few of those boxes today. 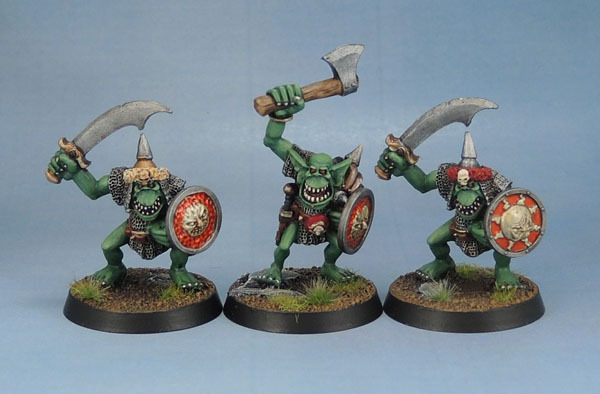 Today I have a couple more orcs to share. These were started god-only-knows how long ago (seriously, I have NO idea) and finished during the long period recently where I was too busy and burnt out by work to post much – but still doing what I could to get some painting in. The smaller one is from 1993, so the early days of WHFB 4th edition. 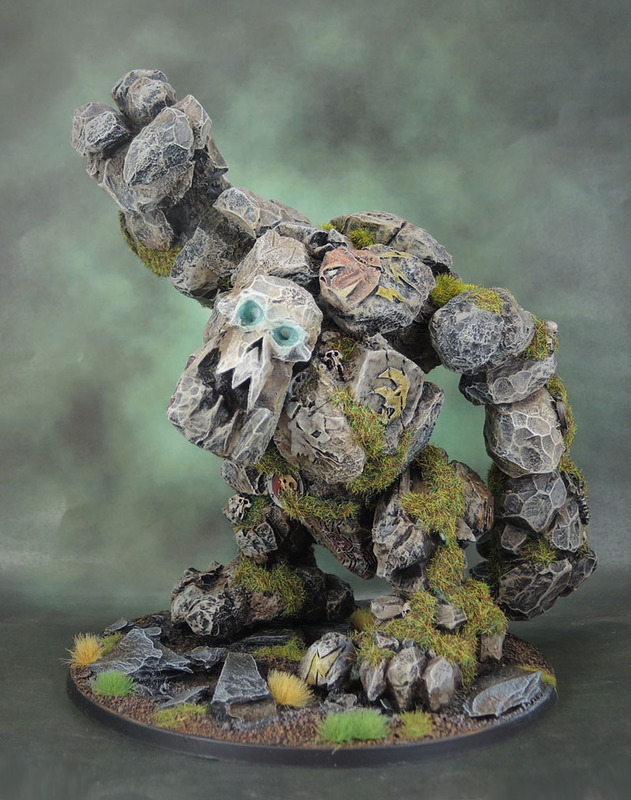 He’s definitely a variant sculpt to the commander to the 1992 Rock Lobber. I’ll have to find, build and paint it. I may have even painted the other crew in the past few years, so that should theoretically be an easy unit to reunite and complete. 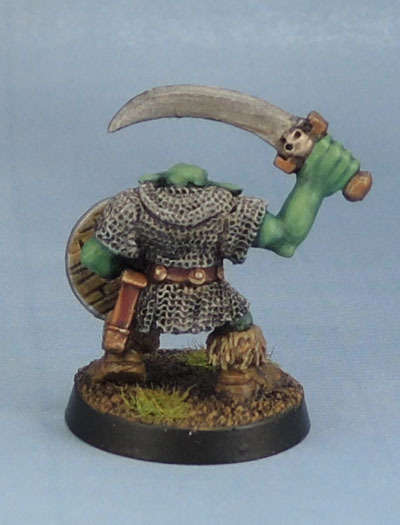 Anyway, he’s listed in the Black Catalogue 4 (1994 filled with 1993 models) as “Orc with Sword 4”. 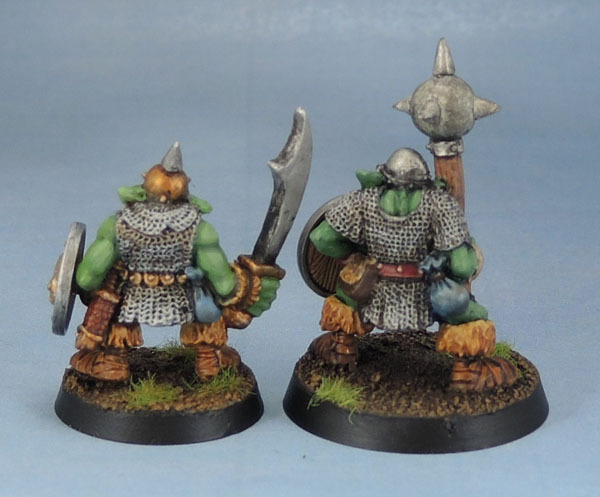 The larger orc is found in the same catalogue. 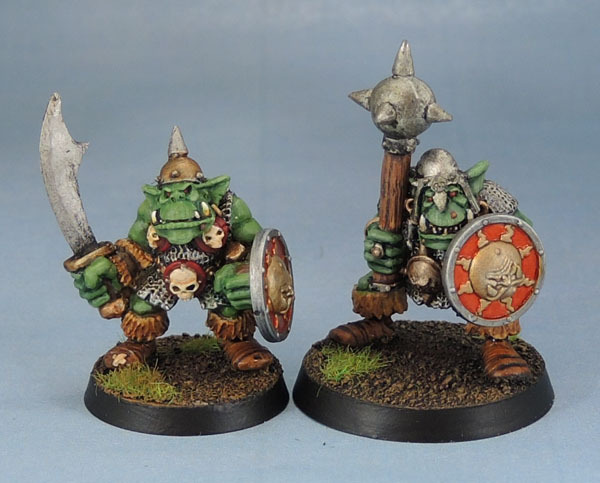 Called “Orc Big’Un with Mace”, this pair is clearly from the period where the interesting names of 3rd edition and before had been dropped to be replaced with upfront descriptions. 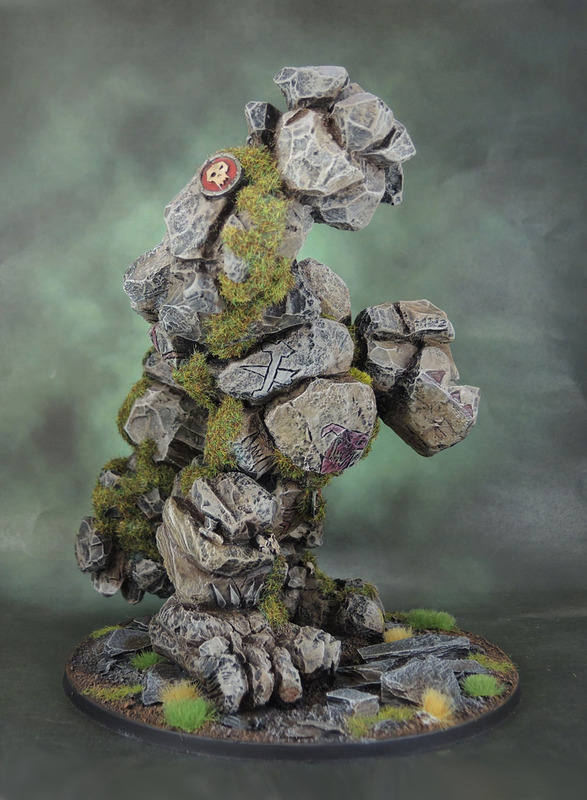 I actually rebased him recently onto the 32mm, as there was quite a lot of overhang on the 25mm round I had him on. 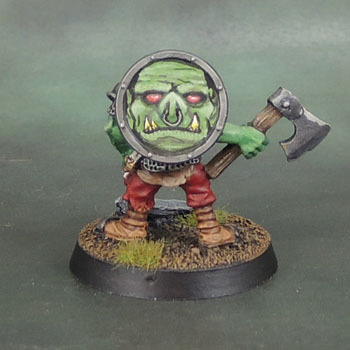 I plan to continue to drop large orc models onto the 32mm bases. 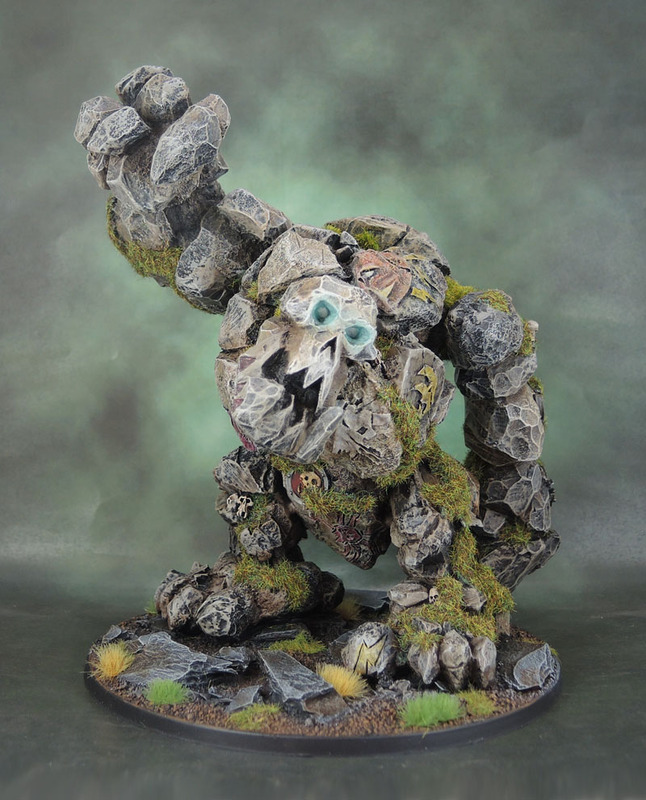 Both will eventually find use in various games including Kings of War, though I’m not sure what as exactly for the big guy. 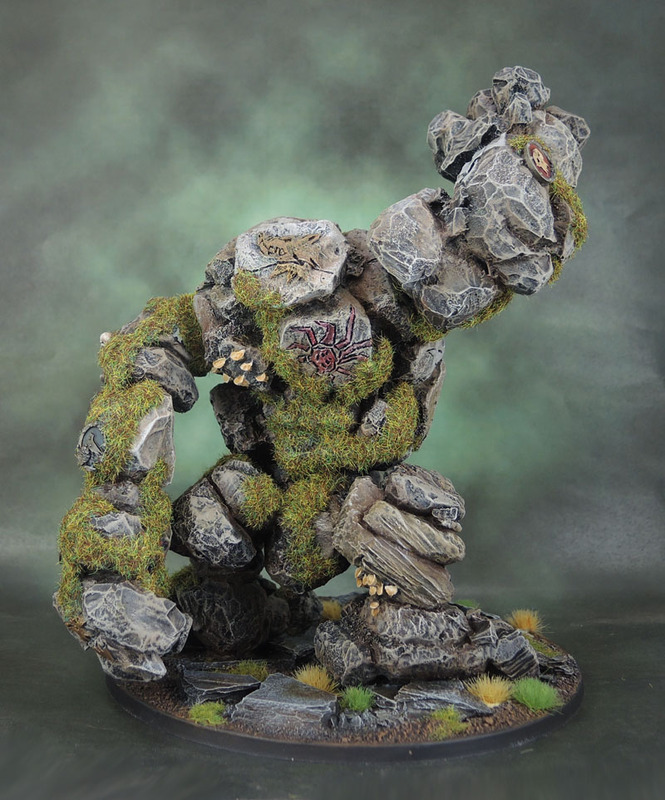 Their orc list is lacking pretty severely in decent analogues. 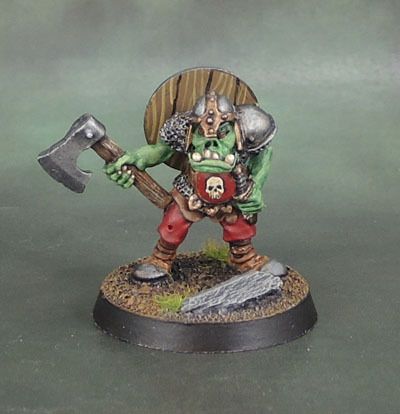 When I recently read that KoW plans to add more units to the Orc and Goblin armies, I suggested to some members of the RC that they add something to represent the archetypes of “bigger meaner orcs” and “barbarian/berserker orcs” I was brushed off since they were clearly analogues to Big’Uns/Black Orcs and Savage Orcs, while they want to go in a more original direction. 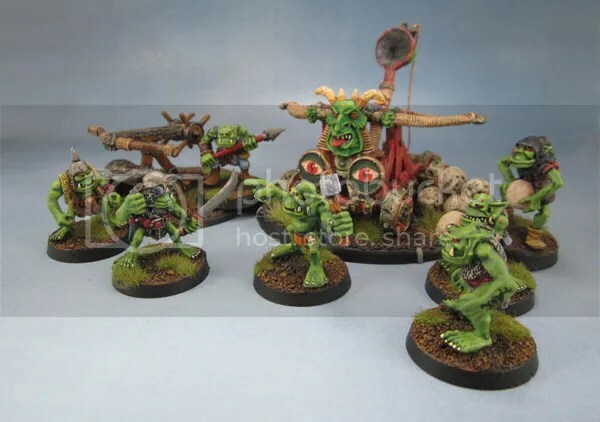 This from the people who started out by bringing us a range of alternative WHFB models for Orcs, Dwarfs, Elves, Chaos Dwarfs and followed up with the highly original Space Orx, Space Skaven, Forge Fathers (Space Dwarfs/Squats), and the Uncharted Empires book filled with rules to use your formerly-WHFB armies. I mean, I appreciate the rules, but don’t even pretend that there’s a precedent of being particularly original. 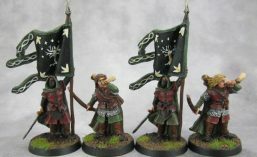 The RC wants to do a new unit for each of the core races (main rulebook + Trident Realms + Nightstalkers), but also bring them all up to the same number of units. This means some armies, such as Orcs and surprisingly Goblins, will get multiple new units. 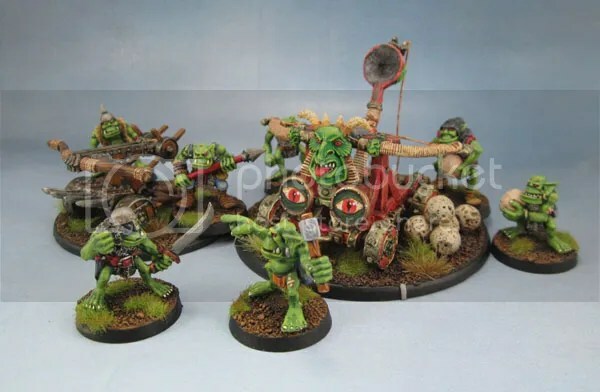 This hasn’t been confirmed yet, but Ronnie did agree to flying gore riders for Orcs. Also, I should clarify that flying pigs = flying gore riders. Background wise something along the lines of an Abyssal Dwarf interbreeding experiment (like ADwarf halfbreeds) that was uncontrollable by the ADwarfs and a flock escaped, but they’re now bred extensively by Orcs. Yep. No orc berserkers or bigger, meaner orcs. Those are too derivative! Instead – flying pigs! 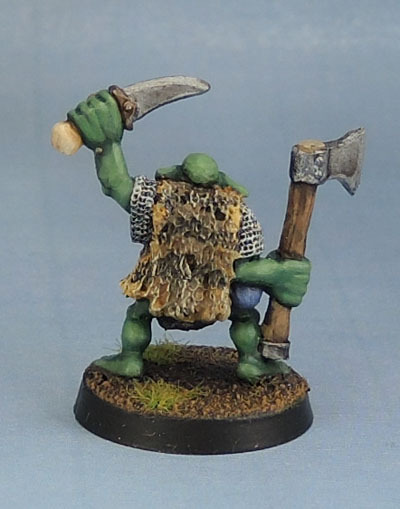 C22 Orc Bolt Thrower – Citadel Miniatures, 1988. Something from 1988, this Bolt Thrower sat around part painted for more than a decade. Recently I noticed it on the paint desk and decided to get rid of it – doing so in my current fashion by finishing the bloody thing. The crew had already been painted several years ago, so it was really a no-brainer that somehow took me years to figure out. What does that say about me, then? 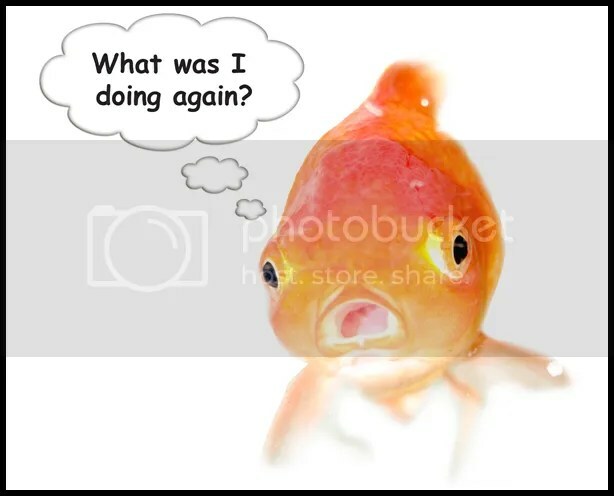 What does Short Attention Span mean? So anyway, I finally got it done. 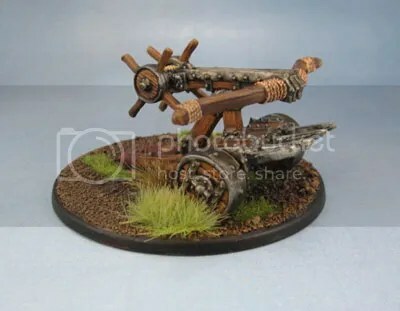 Semi-interesting fact: The same bolt thrower was also packaged with Dwarf Crew for a time as a Dwarf Bolt Thrower – sometime after they discontinued the cool-looking (and much more Dwarfy) Imperial Dwarf Bolt Thrower. 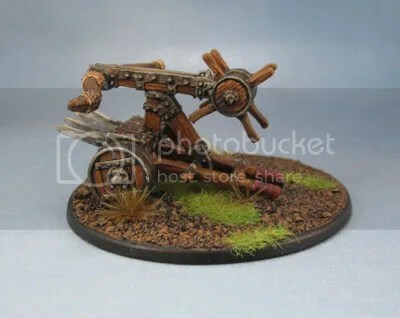 The thing about this Bolt Thrower is that uncrewed, it’s generic enough to be used with pretty much any army at all. 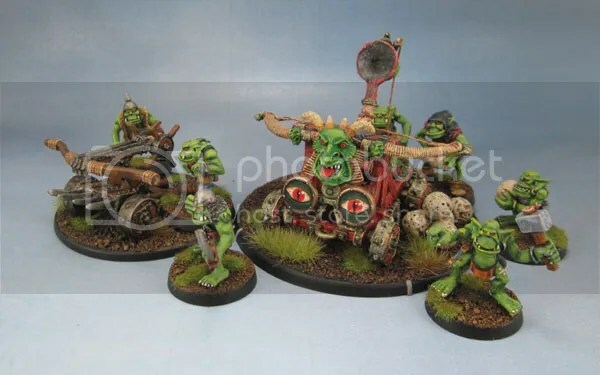 My plan for the time being is to use it (and the Goblin Stone Thrower I also fixed up recently) with the LotR Moria Goblins for the time being, as my 3rd Edition Orc and Goblin army is probably quite awhile away from becoming a force that can hit the tabletop. It’s far from an “exciting” paintjob, I’ll admit. 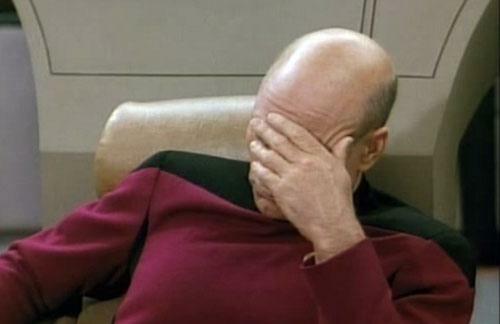 But then it’s a simple thing made from metal and wood and wheels and spikes. Very utilitarian, and so I decided to reflect that with a very simple and straightforward paint job. I might string the bow one day down the line. But not today. 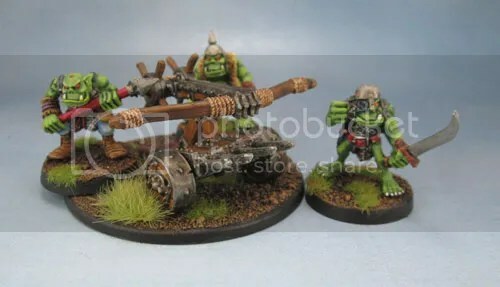 Orc War Machines, Ready to lay the Smack Down on some Humies. Or Stunties. Or Pointy ‘eaded Elves. 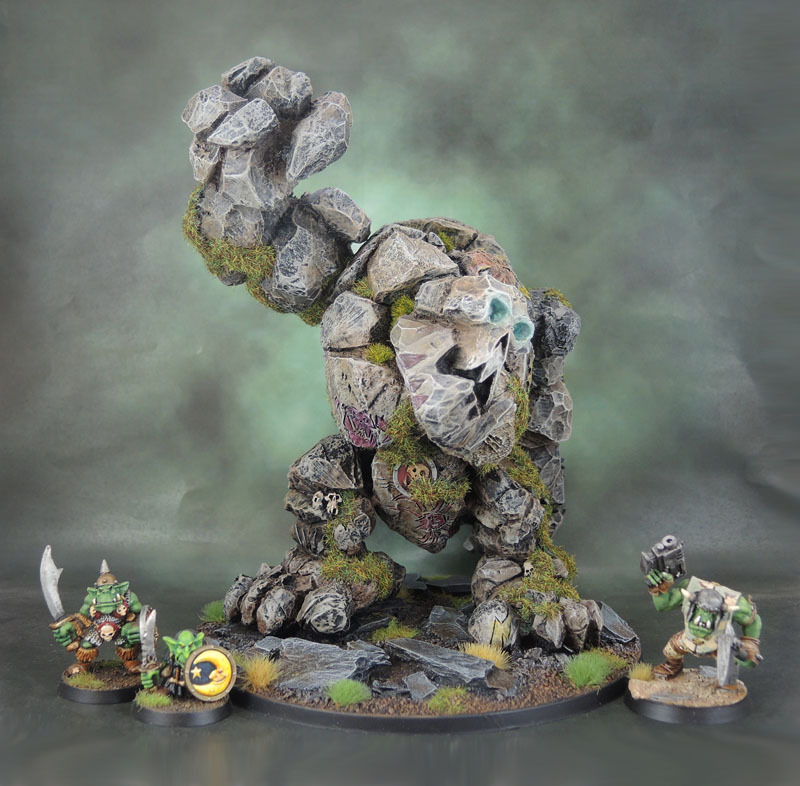 But being Orcs, a disagreement starts between the War Machine bosses. Fight! Fight! Fight! Fight! Fight! Fight! Fight!